THOUSANDS OF FLOORING OPTIONS AT OUR 15,000 SQ FOOT SHOWROOM. WANT TO TALK WITH ONE OF OUR DESIGNERS TO FIND THE RIGHT ONE FOR YOU? - Thousands of options at your fingertips sitting in a large warehouse ready to be installed! - Wood, Waterproof laminate, Rug and so much more to get you inspired! Beautiful Floors at Beautiful Prices! Why go with a laminate floor? There are many benefits to laminate floors and the realism of them has gotten so much better that it might be time to rethink hardwood floors. 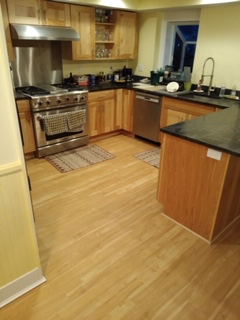 A client of ours recently had some water damage in the kitchen and what do you think happens to those nice hardwood floors? They buckle, bow and become very expensive to restore. 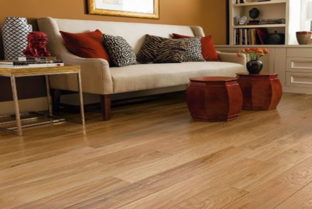 As a matter of fact you might be better offer just replacing it with laminate flooring because in most cases its cheaper and you don't have to worry about water damage with them in the future as they are waterproof.